Taking place between 8 and 12 August 2018, there is no doubt that Decorex JHB 2018 is one of the premier design and decor events in South Africa. 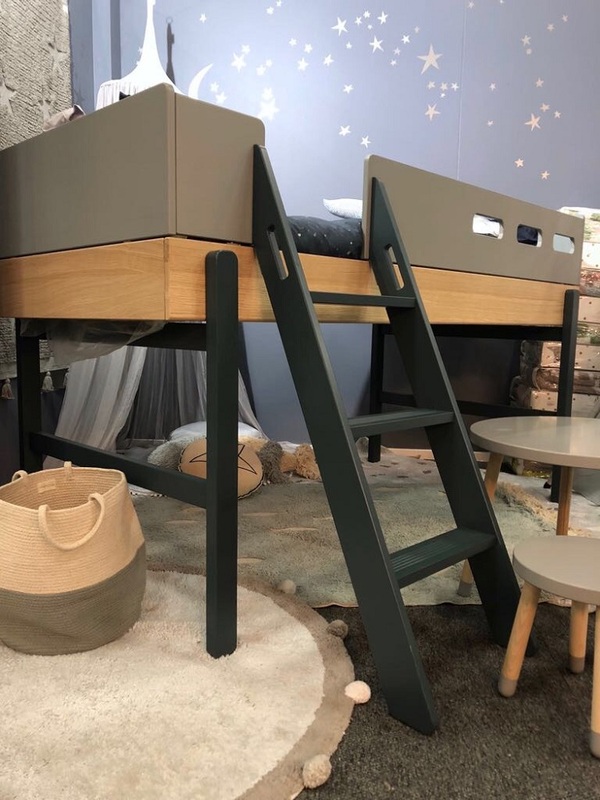 Clever Little Monkey was very excited to showcase a variety of beautifully made kids’ furniture and decor, including two of our most popular ranges – the Flexa Popsicle range and the Lorena Canals rug collection. The theme for this year’s event was Rhythm of Life. Featuring a staggering variety of decor trends from leading retailers and designers across South Africa and beyond, the event aims to showcase innovations, new products, and a host of finds for consumers aiming to make their homes more inviting. Sponsored by Plascon, Decorex JHB 2018 was every bit as exhilarating as we expected. Keep reading to find out what the Clever Little Monkey stand had to offer parents and kids. Decorex JHB 2018 was every bit as magical as we had expected. Here are some of our top highlights from this world-class decor and design showcase, which took place at the Gallagher Convention Centre in Midrand. The Popsicle Bed by Danish designer Flexa was a huge hit (for good reason, we might add)! With a sturdy design that is modern, stylish, and practical, this mid-high bed comes in two fun colours: Blueberry and Cherry. The bed has space below that can be used for tea parties, reading, sleepovers or hidden blanket forts, with a ladder that leads up to the bed. Guests got a discount of 20% off Flexa furniture. 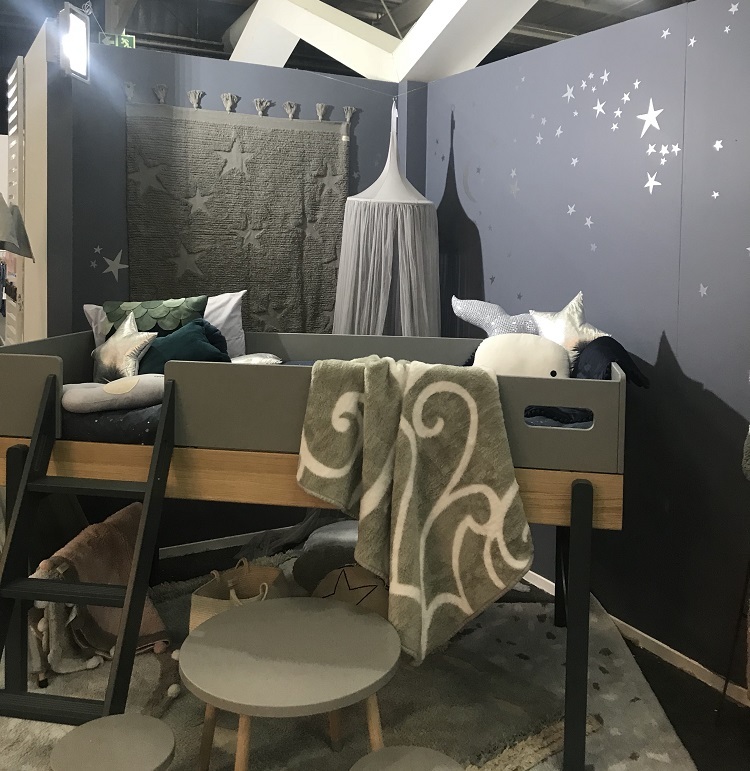 Featured on the Flexa bed were a variety of kids bedding and cushions, including the new Waves Blanket from Bunni, and various ocean inspired cushions such as the adorable whale’s tale, scales, and jellyfish, along with funky star scatters and our lovely canopy. Underneath the bed, we had an assortment of versatile play tables from Flexa – perfect for kids’ bedrooms. Another highlight was the launch of the Lorena Canals Oh Joy collection, arriving in South Africa for the very first time. These bright, colourful rugs are fully machine-washable, making them ideal for kids’ rooms. Barcelona-based Lorena Canals specialises in practical yet lovely designer rugs for kids, as well as baskets, baby blankets, cushions, and wall hangings. Every rug is made by hand from sustainable materials. A wide variety of collections are available at the Clever Little Monkey store – view our Lorena Canals page to browse her full collection. 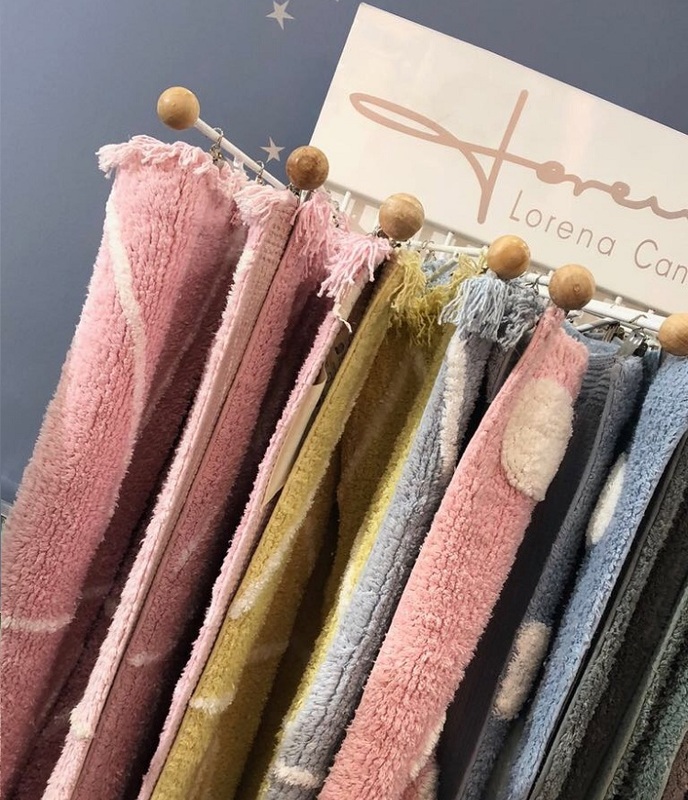 Decorex guests received an exclusive show discount of 30% of all Lorena Canals rugs. We also kicked off a competition that gave one lucky Decorex guest the chance to win a Bunni teepee by scanning our QR code. The winner will be announced soon – watch this space! All in all, this year’s event was plenty of fun and we are already looking forward to next year’s show. If you were at Decorex JHB 2018, leave us a comment to let us know which Clever Little Monkey collection you loved the most.